What was the issue that required change? Keeping people with dementia at home requires commitment by unpaid carers. There is a need to enhance resilience to prevent carers reaching crisis point and consequently, the cared-for person with dementia being admitted to hospital. 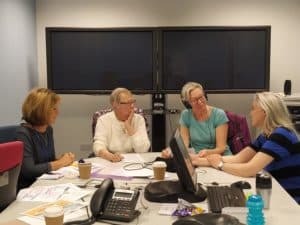 With an increasing number of informal and family carers in the Tweeddale area, identified as caring for people with dementia, the focus of the project was to think about ways of promoting feelings of health and wellbeing for those at the centre of care. At the same time, the approach adopted aimed to enhance inter-agency working using assets already available in the community. 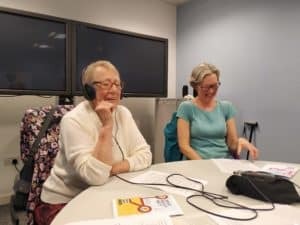 This project enabled Tweeddale Community Nursing Team, Social Care, Borders Carers Centre, Third Sector groups and informal carers to work together to find ways of promoting health and wellbeing in their role of caring for loved ones. 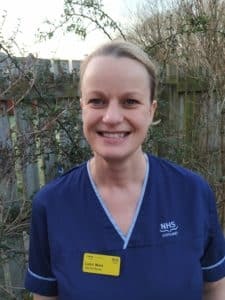 Led by recently qualified Specialist Practitioner District Nurse Lynn Weir, informal carers were at the centre of the project from the outset. 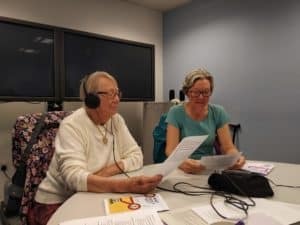 By adopting practice development principles, the group developed a shared commitment to hear the voices of carers for people with dementia and respond in a way that could help promote a sense of wellbeing. A co-productive approach was adopted, enabling the group to also pay attention to the current culture of practice. By working together, identifying and agreeing ways of working, build on explicit shared values, a more sustainable approach to collaborative working was established. The group decided that a way forward was to develop a leaflet with important information, conveyed in an easy to understand, attractive manner. An animation was also produced, using the voice of one of the carers. The final report of the project is available here. The project was led by Lynn Weir, Specialist Practitioner District Nurse within Scottish Borders. 1. Has being a catalyst for change had an impact on you or changed the way you work? If so how? Being a project lead has enhanced the practice development skills that I had begun to explore throughout my studies as a SPDN. It has developed my confidence in my ability both to lead and to work alongside both professionals and carers, paying attention to shared values and respecting agreed ways of working. Keeping carers at the centre has been key in the development of the project and instilled in me the values of person centred care. I have realised the importance of utilising the resources and assets already available with the community, and how much progress can be made when sharing the ideas of health, social care, the 3rd sector and most importantly carers in how we can best encourage and enhance their resilience. 2. What impact has the Catalysts for Change project had on those at the heart of your project? Do you have any quotes from participants which would animate this? The catalyst for change project had an extremely positive impact on those at the heart of the project. The creation of the leaflet and the animation was the final product – designed to meet the expressed needs of informal carers. 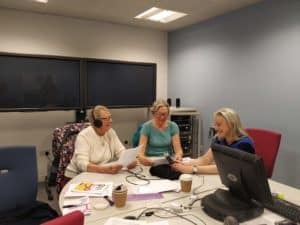 Below are a selection of images of our informal carers creating the animation with the Co-project lead, Caroline Dickson. The carers expressed how meaningful both the process and the outcome of the project was to them. The professional group all expressed enjoyment of their opportunity for inter-agency working on a subject so close to all of our hearts.